*** Infant below 4 years old are free of charge. The above rates inclusive of 6% government tax. 2 Day 1 Night Snorkeling 1trips at Lang Tengah Island only. RM30 per person per night for adult | RM20.00 per person per night for child .Except 1st -31st October. Weekend Surcharge ( Friday and Saturday ) . Peak Season : 1st July until 31st August 2019. 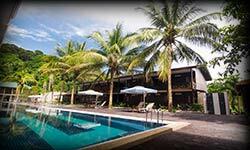 RM60 per person per night for adult | RM40.00 per person per night for child . 8.30am or 11.30am Boat transfer to Merang jetty .